Dr. Hal Wolfson earned his dental degree from NYU College of Dentistry and has practiced general dentistry for over 30 years. He obtained his bachelor’s degree from Brooklyn College where he grew up. Upon graduation from dental school, Dr. Hal served his country in the United States Navy with the Marine Corps in both Iwakuni, Japan and Taegu, South Korea. He also served stateside at Camp Pendleton, CA and at the submarine base in New London, CT. He was a drilling reservist at the time of Desert Storm. Dr. Hal has spent hundreds of hours updating his skills and techniques with countless continuing education classes. His areas of interest include children’s dentistry, implants and cosmetic dentistry. 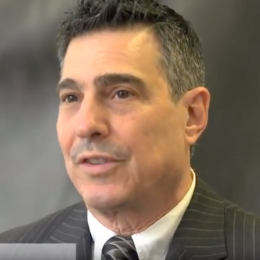 He spent several years working in the inner city as a dentist for the Children’s Aid Society and as an associate in one of Manhattan’s most prestigious dental practices before coming to Clifton in 1991. Dr. Hal enjoys spending his spare time with his wife, Lori and 3 beautiful daughters, eating, laughing and traveling. Dentistry is not only his profession but also his passion. 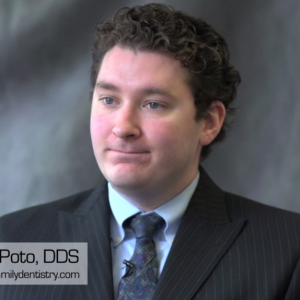 Dr. De Poto is a lifelong resident of Clifton. He grew up just around the corner from the office and graduated from Clifton High School and Montclair State University. His earned his dental degree from New York University College of Dentistry and completed the General Practice Residency program at Mountainside Hospital in Montclair. In his spare time, Dr. De Poto enjoys classic cars, technology, traveling and spending time with his brothers, Kenneth and Daniel. 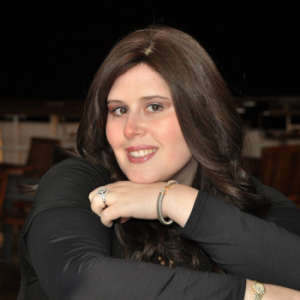 Dr. Michal Fruchter graduated from the University of Medicine and Dentistry of NJ in 2005. She then completed an Advanced Education in General Dentistry at Columbia University Dental School. As a dentist, Dr. Fruchter’s holistic approach centers on preventive care as part of a comprehensive treatment plan. She believes that a beautiful smile is part of a healthy body. 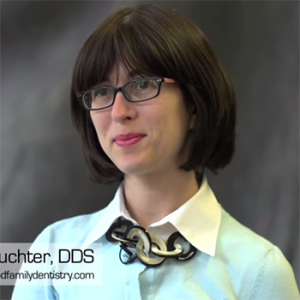 Dr. Fruchter loves all aspects of dentistry, but as a mom of 5 beautiful children especially loves working with kids. She also has extensive experience with patients with special needs. Dr. Fruchter is a resident of Clifton and an active member of the community. She loves baking, cooking and entertaining. Dr. Fruchter is also on staff as a clinical instructor of dentistry at UMDNJ where she teaches and mentors future dentists. Dr. Rubin is a graduate of NJ College of Dentistry and received her postdoctoral periodontics degree from UMDNJ. Dr. Rubin served as chief resident to future periodontists at UMDNJ. Dr. Rubin is a Diplomat of the American Board of Periodontology. As both a Periodontist and Implantologist, she performs all aspects of periodontal surgery and non-surgical modalities including the placement of Dental Implants. Dr. Rubin is dentist that’s certified by the American Academy of Facial Cosmetics to administer Botox and dermal fillers such as Restylane and Duraderm. Patient satisfaction is of paramount importance to Dr. Rubin and she prides herself on having an excellent rapport with each and every patient she treats. To make an appointment please call 973.365.2265 or contact us today.